Are you exhausted? If you’re a new mom or dad reading this, then chances are you’re pretty tired! We may be able to help. Every new parent goes through it – that exhausted stage when you don’t know what day it is, when the last time you ate was, or even the last time you showered was (it’s ok – you can admit it, we’ve all been there!!). 1. Routine: You can’t start a routine too early. Babies are pretty predictable, they want to eat, sleep, and be clean. So try to do it in an order each time. Change his diaper, feed him, then let him sleep. Try this before bed each night and they will tend to sleep in longer spurts. 2. Comfort: Make sure it’s not too cold or too warm where the baby is sleeping. Try to replicate the environment that they are used to: the womb. A snuggly wrapped swaddle can oftentimes do the trick. 3. Location: Your baby wants to be near you, that’s just a fact! So why not have her sleep by your side – in a safer way. 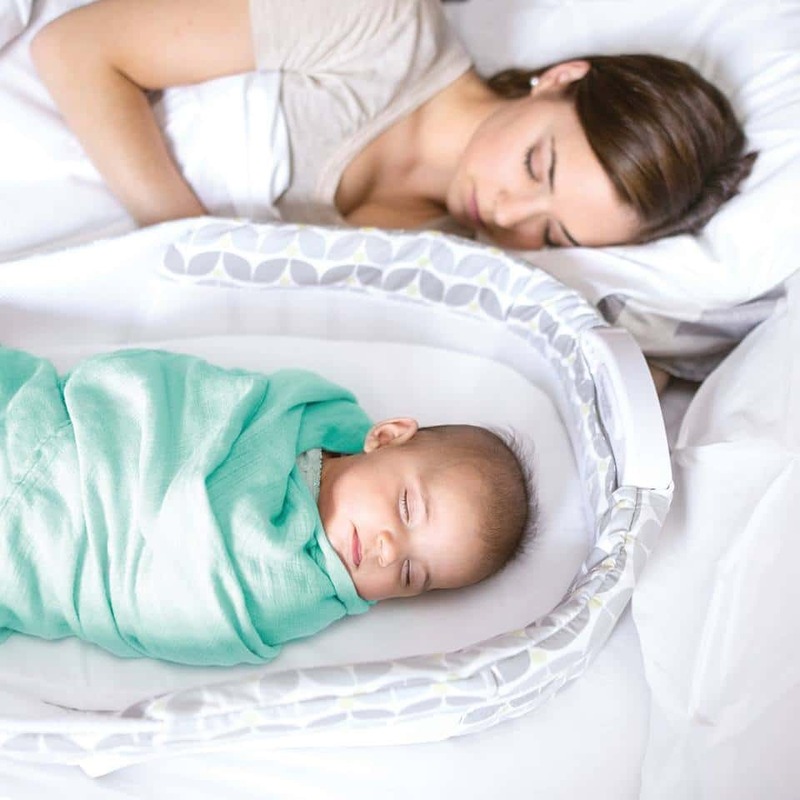 A co-sleeper, like our Snuggle Nest, is a great solution to sleeping with your little one in a safer way. She will have her own separate bed within your bed. So when she needs to eat, or be soothed, there’s no getting out of bed. Just lean over and there she is – waiting for her mama. What’s the best advice you have heard to get sleep with a newborn? Tell us below!